Mumbai Figures updated for Sunday Morning.. This is not a forecast. Just what has transpired last 24 hrs. Rainfall moving into Eastern Rajasthan and approaching Jaipur. And getting weaker in the Konkan. Patchy rainfall continues in the South. In the Konkan, rain was sparse on Saturday in the day, with Panvel (to be confirmed)16.0 mms, Ratnagiri getting 13.0 mms, Mumbai Vagaries 6.0 mms, Mumbai Scruz 4.9 mms, Mumbai Colaba 1.4 mms, Alibag 1.0 mms and Dahanu just 0.1 mm. Pune cloudy with Lohgaon measuring 1.0 mms till 5.30pm. In Vidharbha, Saturday day, Amravati notched up 31mms, Wardha 19 mms and Nagpur 5 mms. Now, the UAC has moved, alongwith the axis to Central Rajasthan. A UAC associated with the axis lies over Jharkhand. An off shore trough runs down the East coast from thei UAC. Rainfall is seen along this trough line, more so in the sea. 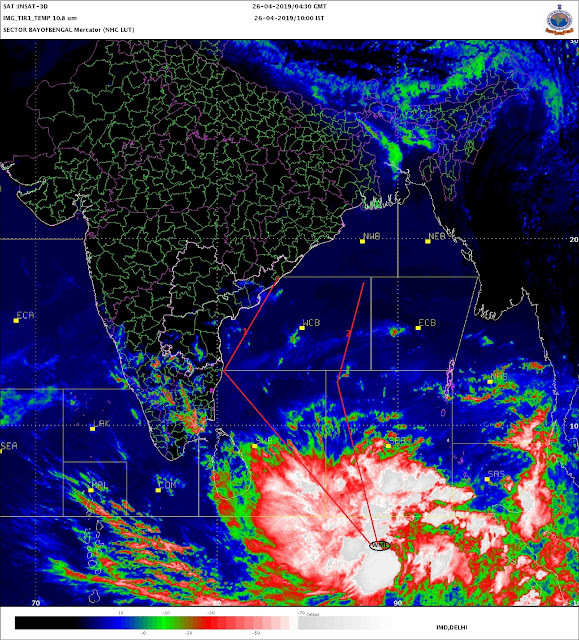 The west coast trough runs from Gujarat to Karnataka. @Rajesh sir what differentiates a weak trough from a strong one. Is it the pressure differential or the absolute value of the low that is embedded within? Thanks..
@ Rajesh Sir. Thank you very much for providing valuable information & guiding me for what happen in last 24hrs. But still I have an doubt Sir ! If Rainfall is approaching Jaipur then why as per latest IMD's infra-red satellite image of 29/07/2012 at 2am UTC time, showing clouding still persistent over West MP & Gujarat border and some band of clouds even stretching up to Gulf of Khambhat belt.Jaipur and surroundings not showing much cloud content as per latest satellite image ! And Badlapur received heavy spell in early morning 5am period. Now total past 24 hrs rain measured here is 25mm till 8.30am today. Very Heavy rain spell in Badlapur just now. 10mm in just 20mins. Overcast sky here in Ghaziabad.Yesterday it rained about 1-2mms.Still waiting for meaningfull rains. I recently went to my hometown in the Kangra district of Himachal Pradesh.There i found that these places are not fully dependent on monsoon as it rained there heavily every afternoon(60-100mms)and at other times it was partly cloudy.At that time monsoon was in very weak phase still that place manages to get over 60mms everyday. Very surprised to see that. Today some areas of Surat received medium showers which lasted only for 10 minutes while rest of the areas were completely dry. Dry day in bangalore so far. It was a cloudy morning. Evening is much clearer. into South Coast, and East Coast of India, from the high positioned above the troughs. result in wet conditions in their immediate vicinity. along the coast in advance of the ridge itself. These onshore winds can produce rains along the coasts. Putting your analysis on inter active page tomorrow..
Abhijit: Like i mentioned, a few days in vagaries, the clouding due to this system is in the S?SW quadrant of the UAC. Now, it happens at times, that as the UAC moved north, sometimes the cloudings persist for a day a or so, due to moisture incursion..thats un avoidable at times. But, thru experiance, one must understand that the clouding is a remnant of the previous low, and not confuse with the low or UAC itself. How ? This time the clouding was there for a day, but not much precipitation from the thick looking cloudings. Arpit: Kangra got 115 mms on Friday...and its full monsoon there now, and more to come next week.